Naturally occurring debris, often the product of weathering of rocks, carried by wind or water and deposited in a new location. Naturally occurring debris, often the product of weathering of rocks, carried by wind or water and deposited in a new location. Many rivers are visibly colored by the sediment they carry, and satellite imagery often clearly shows where sediment is carried out to sea from rivers. In time, sediments can build up and become compacted into rocks. 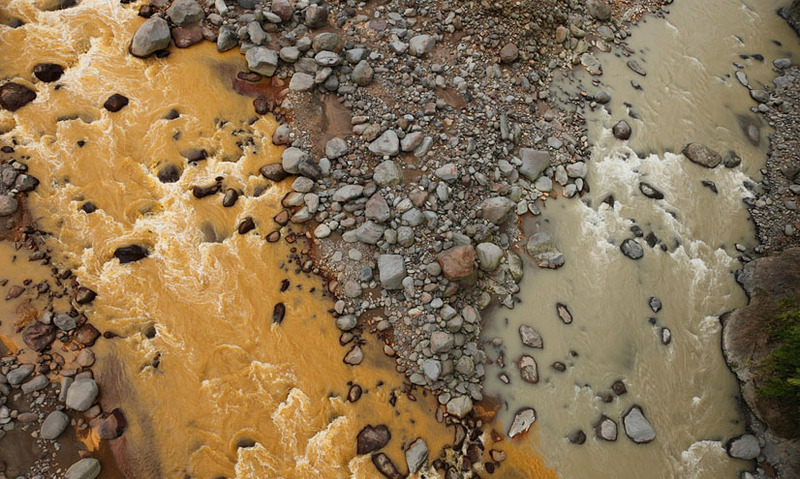 Many rivers are visibly colored by the sediment they carry, and satellite imagery often clearly shows where sediment is carried out to sea from rivers. In time, sediments can build up and become compacted into rocks.